This is a weird show. Camaro Kev starts by reviewing UFC 148 minutes after the event happened. 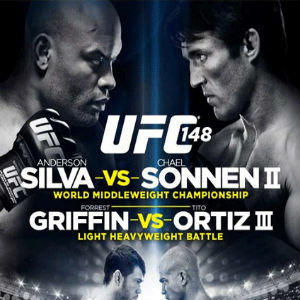 The second part of the show was recorded before UFC 148. In the second part he previews UFC 148, tries to make sense of the latest K-1/Glory/It's Showtime news and previews Nonito Donaire's upcoming HBO match-up. I hope that Doc Brown explanation makes sense.